The Levi Leonard Papers, The University of Iowa Libraries, Iowa City, Iowa. For Union Pacific executive Thomas Durant, it was a money-making machine. It was a revolutionary business model previously unknown on American soil. It was secretive and utterly opaque to the reporters who eventually tried to discover its workings. And it wasn't illegal at the time -- though it should have been. Durant chartered a company named Crédit Mobilier of America to garner profits from railroad construction, guaranteeing he and other insiders would realize a fortune from the railroad without exposing themselves to the project's high-stake risks. Durant was convinced building a railroad would be more profitable than running one. He had to get into the construction business. With partners, he purchased an idle fiscal agency and altered its structure to mirror a French concern (hence the name). In simple terms, the new company welcomed a select group of investors while limiting their liability. Prior to Crédit Mobilier, corporate law held investors liable for their entire personal holdings. In contrast, Crédit Mobilier investors were only responsible for the extent of their investment. 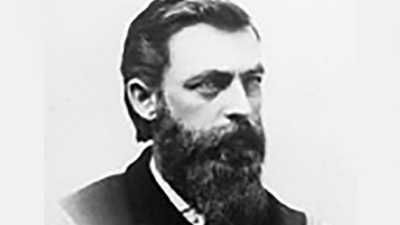 Durant paid crony Herbert M. Hoxie to submit a construction bid to the Union Pacific. No one else got the call to bid, and as the only bid received, Hoxie's offer was unanimously approved. Hoxie signed the contract over to his benefactor -- and Durant transferred it into the name of Crédit Mobilier. In essence, Durant hired himself to construct the railroad, paying Crédit Mobilier with money given to the Union Pacific by government bonds and risk-taking investors. He subcontracted railroad work to real construction crews while using inflated estimates to ensure significant profit. Because there was no liability, it didn't matter whether the railroad actually got built. In case of forfeiture, Durant could not lose the profit he had already earned. With a crazily bent, ox-bow-shaped line out of Omaha adding nine unnecessary profit-generating miles to construction, the money-making machine got off to a roaring start. Three years later, conflict in the Crédit Mobilier boardroom brought construction to a standstill. Investor Oliver Ames leapt over Durant to assume the Union Pacific's presidency; furious, Durant filed an injunction forbidding Crédit Mobilier from assigning new construction contracts to replace the expiring Hoxie agreement. 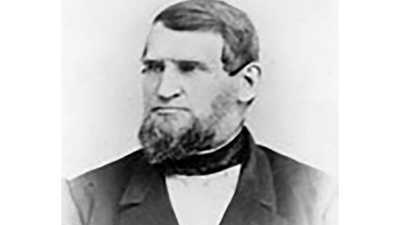 Oliver and his Congressman brother Oakes Ames managed to oust Durant from the Crédit Mobilier board, which then split into two factions. More injunctions followed, as did months of bitter impasse. Exasperated crews waited for work at the end of the tracks. The Ames brothers eventually set them working without a contract, which meant each completed mile equaled unrealized profit. That resolved the issue, if not tensions. In October 1867, Oliver and Oakes Ames grudgingly reinstated Durant; he in turn endorsed an Ames construction contract that sent money from those miles flowing retroactively into their pockets. "We Should Not Be Interfered With"
On the strength of renewed profits and a declared dividend, Crédit Mobilier boomed. Congressman Oakes Ames, representing company interests on Capitol Hill, soon found himself overwhelmed with legislators demanding a piece of the action. 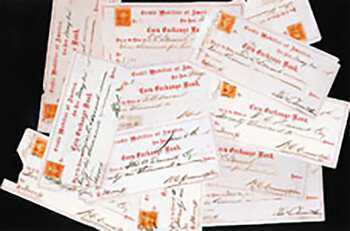 He distributed stock to two senators and nine representatives in 1867. Some eventually returned the gift. Ames recorded his transactions in a ledger. For discretion's sake, he often kept the stock in his name and dispensed earnings where necessary. By virtue of their posts, all the recipients held influence over railroad legislation, but none seemed to sense any conflict of interest in their purchases. And Ames was intent on gaining their support. "We want more friends in this Congress," Ames wrote, "and if a man will look into the law (and it is difficult to get them to do it unless they have an interest to do so), he can not help being convinced that we should not be interfered with." Scandal erupted in election season 1872, as president and UP friend Ulysse Grant came up for his second term. Testimony from a lawsuit against the Crédit Mobilier contained a partial list of Oakes Ames's stock contacts of half a decade earlier. Mistaken for a listing of stock recipients, the itemized names included incumbent Vice President Schuyler Colfax, Vice Presidential nominee Henry Wilson, Speaker of the House James G. Blaine, and ten others (among them future president James Garfield). The anti-Grant press seized upon the revelation as "the most damaging exhibition of official and private villainy and corruption ever laid bare to the gaze of the world." A blizzard of controversy overwhelmed the public -- but had little ultimate effect upon the elections. Speaker Blaine, who had turned down Crédit Mobilier stock and nonetheless seen his name dragged through the mud, moved that Congress investigate the charges. 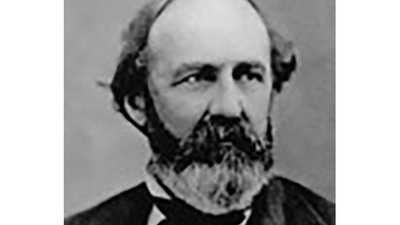 Called before a Capitol Hill committee, Oakes Ames insisted that nothing illegal had transpired. He was therefore willing to talk. His colleagues turned on Ames, who in turn produced the ledger book. It cleared Blaine and Wilson, but incriminated Colfax and 13 other legislators. With a rapt public and incendiary press following its every move, the Committee decided not to take measures against those Ames fingered, choosing only to punish Ames himself and James Brooks -- the sole Democrat -- with congressional censure. No criminal or civil charges were filed against any of the Crédit Mobilier's scoundrels. "Whitewash!" blared the press. The Capitol seemed darkened by shame. In January 1869 young muckraker Charles Francis Adams Jr., brother of journalist and historian Henry Adams (and descendant of two Adams presidents), wrote of the scheme's complexity. "What this Crédit Mobilier is seems to be as much shrouded in mystery as is the fate of the missing $180,000,000 of capital stock of these roads," he complained. He also pointed out that the financial improprieties would result in higher taxes on the trade carried by the railroad in the future, meaning that, as Durant had planned, someone else would foot the bill for cleaning up a villainous mess. As a crowning insult to the public trust, the schemers were never punished. For more on the Crédit Mobilier and its relevance to business scandals today, read New Yorkerfinancial columnist James Surowiecki's essay, "Durant's Big Scam." The letters Jack and Frances Casement exchanged illuminate the experiences of a "railroad widow" and her hard-working husband. Collis Huntington had a preternatural sense for buying and selling. He came to California in 1849 at news of gold. He found success vending supplies to men chasing their fortunes in icy streams. Despite a rough start, he established himself in Sacramento by the turn of the decade. "King of Spades" Oakes Ames, a Massachusetts businessman and politician, made his money as part of of Ames & Sons, a shovelworks founded by his father and administered by brother Oliver. The transcontinental railroad would bring him even more wealth -- until 1873, when the Crédit Mobilier scandal destroyed his career.